Through 6/4, hurry over to Macy’s for amazing saving on Martha Stewart fry pans! 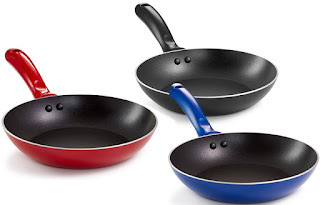 Get the 8″ fry pan for only $5.99 (regularly $16.99) or the 10″ pan for just $7.99 (regularly $21.99)! Both of them are available in blue, black and red. Opt for Free Store Pickup to save on shipping or get them shipped for Free with orders over $49 or with any beauty item (from $2).